As we enter the 4th quarter of 2014, many marketers will be focusing on what’s next for the coming year. While most marketing planning for 2014 has “officially” occurred by now, let’s face it: things change fast in the digital marketing and PR world. Interest in the topics like the future of B2B marketing, Digital PR and Social Media will only grow as the year finishes out and into the next. The theme of the 8th year of this amazing conference is “Marketing for What’s Next”. With a lineup of top B2B marketers ranging from Michael Brenner to Pam Didner to Jason Miller, it will not disappoint. Inspirational keynote speakers will be on hand as well including Mr. UnMarketing himself, Scott Stratten; author and designer Austin Kleon and pioneering social media researcher, danah boyd (who has also been honored in our 25 women who rock social media list). I am happy to share that we are publishing a conference eBook for #MPB2B that features predictions from over 30 of the conference speakers. B2B brands contributing include Xerox, Marketo, LinkedIn and Silverpop. B2B Marketing thought leaders include Ann Handley, Heidi Cohen, Tom Webster, Doug Kessler, Susan Emerick, Viveka von Rosen, Jon Miller and many more. Be sure to check back tomorrow for the full eBook and a few surprises. There might be a few tickets left, so be sure to check out the MPB2B event site today. The theme of this year’s PRSA International conference is also future focused: “Leading the Way – A Fearless Future for PR”. 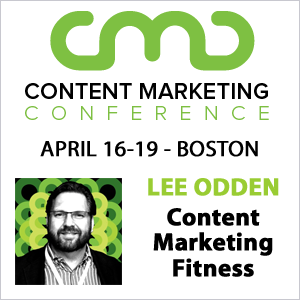 Keynotes include media luminaries from Good Morning America, Fast Company, NBC, and Facebook. With more than 90 instructional sessions on all variety of communications, public and media relations topics, this is one of the largest PR focused events of the year. As the convergence of public relations with other disciplines continues, there are more marketing focused topics being presented, including my own session: “The Future of Digital PR is Integrated”. · The foundation of an integrated marketing and PR strategy. If you want to get a firm grasp on the intersection of digital PR and marketing, this event is a must attend. Put on by the social media smart folks at Social Media Examiner, this event lasts most of October and it’s online. You can experience and interact in real time or you can watch presentations at a time that is convenient. The range of topics at this online event will certainly give you a kick start into the future of social media in 2015 and beyond. 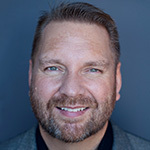 The speaker list at the Social Media Success Summit is literally a who’s who of social media marketing including: Jay Baer, Mari Smith, Mike Stelzner, Mark Schaefer, Amy Porterfield, Cliff Ravenscraft and many more. Brands are well represented as presenters as well including: Tyson Foods, Humana, Dunkin’ Donuts, Whole Foods Market, Canva and more. The Social Media Success Summit is going to be a great event! Be sure to check out the entire agenda and speaker roster as well as the online networking options. What are your predictions about B2B Marketing, Digital PR and Social Media Marketing? Is B2B really going away in favor of P2P? Will PR actually merge entirely with marketing? Will social media disperse to specialty apps or aggregate into just one or two monster social platforms to rule them all? I’d love hear your thoughts. I also hope to see you at one or more of these 3 events, so be sure to check them out!